How easy are one pot meals to prepare. Dump all the ingredients in, put the timer on and the dish is ready to enjoy. And, it’s less messy too! 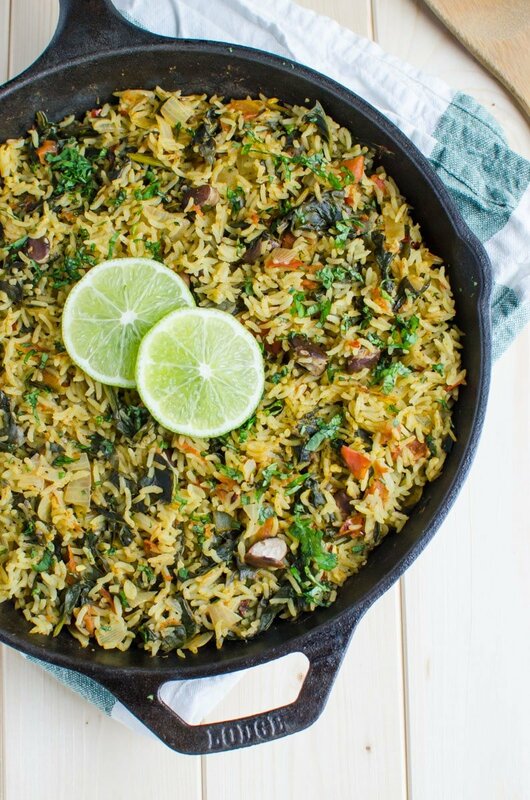 This spinach rice recipe is also a one pot meal. It hardly takes 10 min. for initial prep and 15-20 min. for actual cooking. It is our favorite option for times when we are tired or when we don’t have time for cooking. 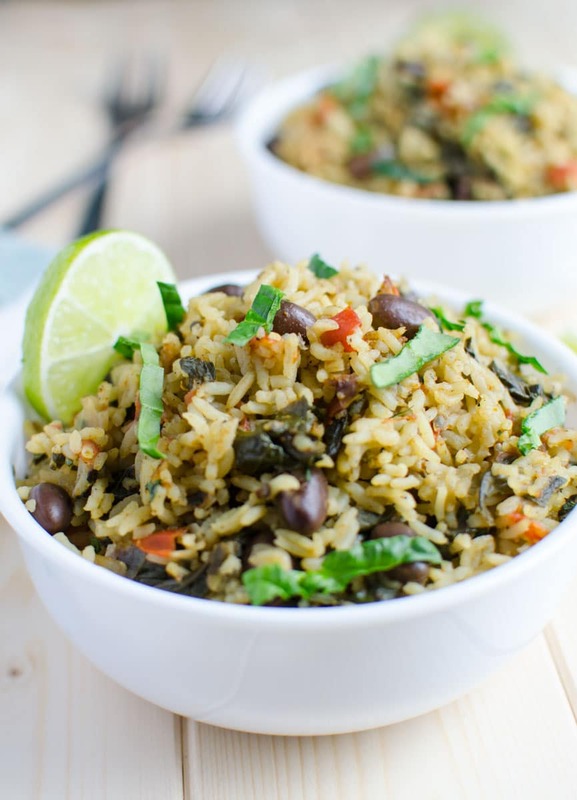 This spinach rice recipe is an all in one dish. 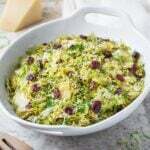 Greens and beans along with carbohydrates turn this into a perfect meal. 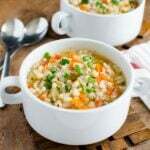 If you are vegan or vegetarian, replace chicken stock with vegetable stock (or water) for cooking this recipe. How this spinach rice is healthy? 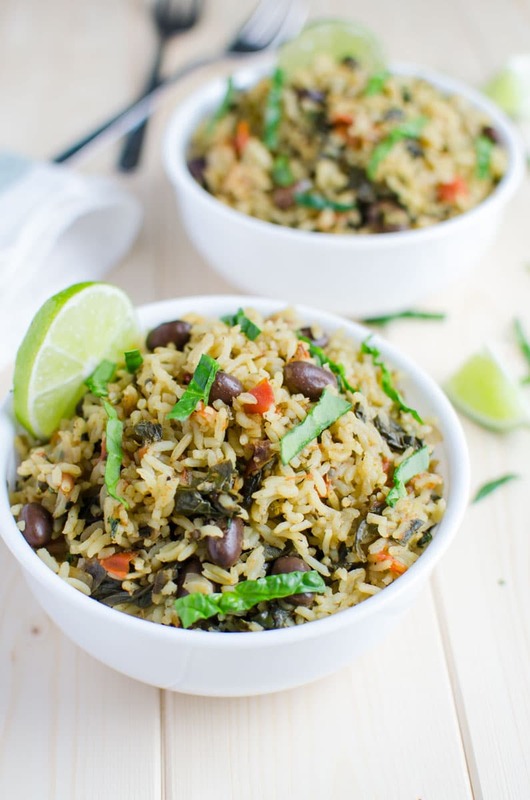 Healthy spinach rice loaded with proteins, fibers and vitamins. It is a one pot meal that takes about 30 min to prepare. Ideal for busy times. Avocado oil– It is healthy cooking oil. I use it in my recipes most of the time. 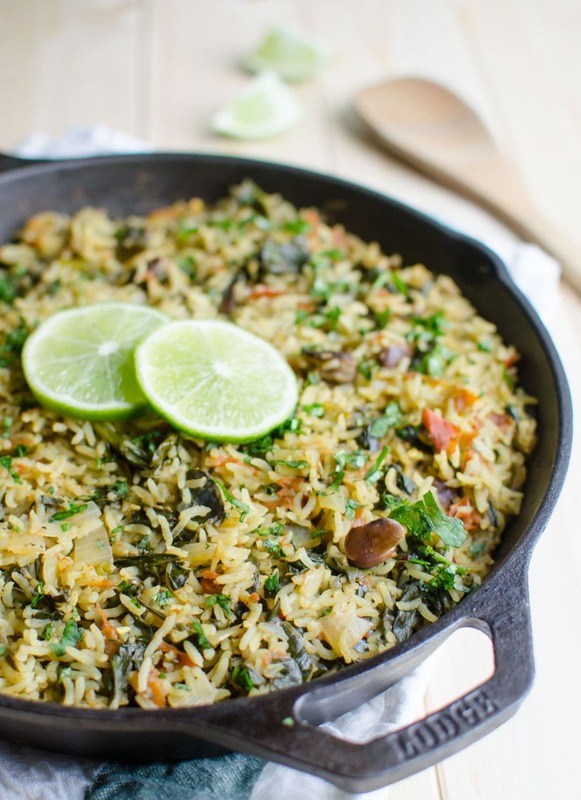 I used 12″ Cast iron pan for making this rice. 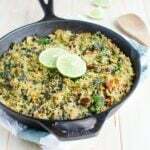 One Pot Spinach Rice Video! 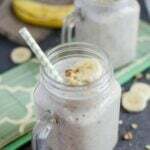 This recipe is to easy and awesome!!! Thank-you for the wonderful recipe. It was yummy, and so quick and easy to make. I’m sorry if this is a dumb question but I’m a complete beginner. Should I cook the rice first or use raw rice for this recipe? Can I susbstitute brown rice? Hi, I used raw white rice in this recipe. You can use brown rice as well if you prefer. However, brown rice will take a longer time to cook than mentioned in the recipe (if rice starts to stick at the bottom, you may also need to add more water). Let us know your feedback when you try this dish!